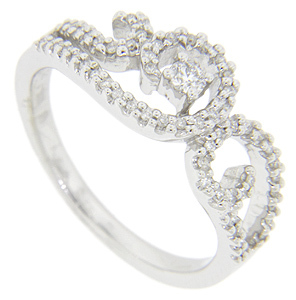 Scrolling curves set with glittering diamonds ornament the top of this 14K white gold modern ring. 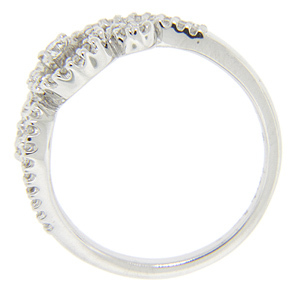 Set with a total of .35 carats of diamonds, the ring measures 8.75mm in width. Size: 6 3/4. We can resize.